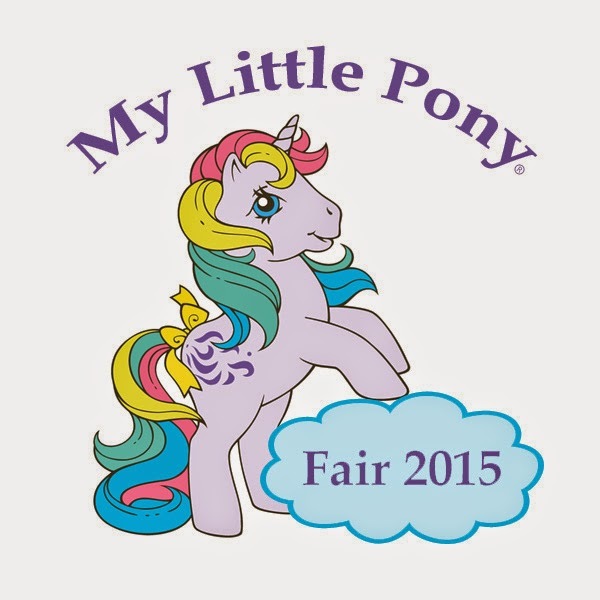 Planning for the 2015 MY LITTLE PONY Fair is full swing! As you may know, we coordinate this event each year with the help of our awesome community and the terrific marketing team at Hasbro, Inc. I am a contracted promoter of the MY LITTLE PONY brand and as a result, the MY LITTLE PONY Fair is the only MY LITTLE PONY convention event that can boast support and collaboration with Hasbro. In the past several years, the MY LITTLE PONY Fair has grown exponentially. In 2014, we had attendance of upwards of 1,200 attendees. Considering that our attendance in 2010 topped out at 300, I’d say we are headed in the right direction and doing something right! Unlike, other more Brony-centric PONY events, we have aimed to have slow sustainable growth each year and expanded our programming to reflect the needs of our attendees. 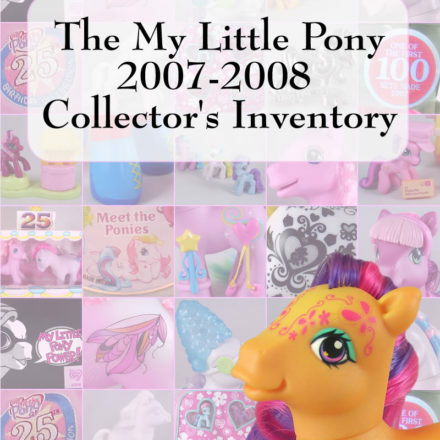 While we do cater to the current Friendship Is Magic audience, our primary focus is, and always has been, the MY LITTLE PONY Collector. 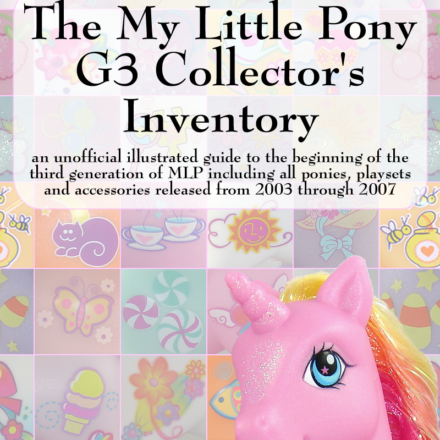 We provide panels, discussion groups, and workshops highlighting MY LITTLE PONY licensed products, collector resources, and the history of MY LITTLE PONY. This year’s MY LITTLE PONY Fair offerings will include appearances and small group sessions with MY LITTLE PONY creator, Bonnie Zacherle, and MY LITTLE PONY: Friendship Is Magic vocal talent, Andrea Libman. In addition, artist Jenn Blake will host a presentation for those with an interest in MY LITTLE PONY artwork. The MY LITTLE PONY Fair Marketplace continues to grow in 2015, hosting over 100 vendor booths teeming with officially licensed MY LITTLE PONY products, vintage MY LITTLE PONY collectibles, artist offerings, and upcoming brand products. Join us on a journey of the History of MY LITTLE PONY in our curated exhibit: MY LITTLE PONY Through the Years. 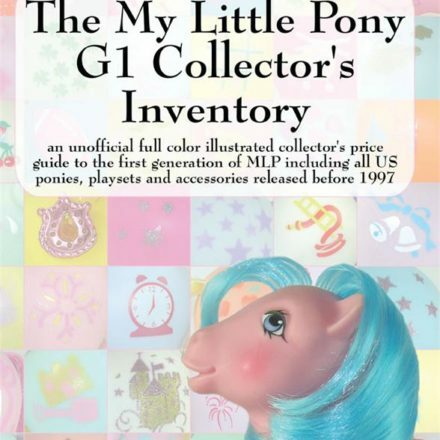 Key items and artwork from the rich 32 year history of the brand will be on display including the original MY LITTLE PONY prototype figures that were hand painted by Ms. Zacherle. The MY LITTLE PONY Fair offers several opportunities for attendees to play interactive games and participate in contests for a chance to take home goodies and prizes. Games are designed to reflect a typical “fair” atmosphere with both games of skill and games of chance for all ages to enjoy. In an effort to include our youngest MY LITTLE PONY fans in the festivities (and those young at heart), we will be again hosting our popular Sugar Cube Corner Crafting area where attendees will have the opportunity to make and create MY LITTLE PONY themed crafts, and use provided art supplies to color and decorate their favorite MY LITTLE PONY characters. Participate in our annual MY LITTLE PONY Costume Contest and Parade by either dressing in costume, or by voting for your favorites. Our annual MY LITTLE PONY Custom and Art Contests showcase the many talents of our amazing community artists and entries are on display throughout the weekend. Round out your MY LITTLE PONY Fair experience by taking home a piece of the magic in the form of one of our officially licensed MY LITTLE PONY Fair event souvenirs. Items range from Special Edition Premium MY LITTLE PONY figures, event T-shirts, logo mugs, logo totes, collector lapel pins, event lanyards and other items you cannot get anywhere else. Los Angeles – January 5, 2015 – Leading plush toy, gift and doll manufacturer Aurora World Inc.® today announced its award-winning MY LITTLE PONY plush collection of more than 50 styles gets a sparkling addition for 2015. Aurora’s 12 new ponies feature styled, “brush-able” hair with glistening, mylar accents, adding to one of the largest, MY LITTLE PONY soft toy collections in the toy and gift industry. PINKIE PIE, RAINBOW DASH, APPLEJACK, RARITY, FLUTTERSHY, PRINCESS TWILIGHT SPARKLE, PRINCESS LUNA and SPIKE THE DRAGON highlight Aurora’s diverse offering that already includes seated and standing plush, jumbo plush, keychain “clip-ons” and pony carriers. “We strive to be a one-stop-shop for high-quality, high-value, distinct plush and styles that stay true to the MY LITTLE PONY characters,” says Michael Kessler, Aurora’s senior vice president of sales and marketing. Aurora also offers various MY LITTLE PONY merchandising programs that include full signage and display racks designed to increase sales at retail. “Aurora will continue to expand its diverse MY LITTLE PONY plush collection to meet growing market demand.” says Kessler. 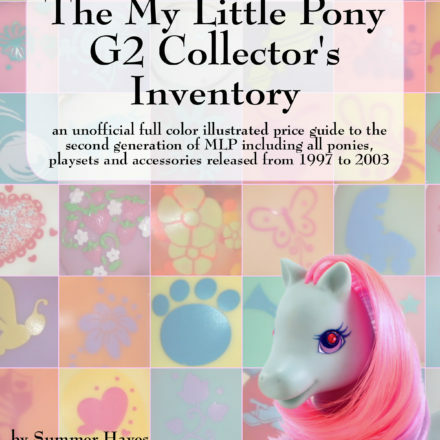 MY LITTLE PONY is one of Aurora’s best selling licenses in a portfolio that includes thousands of “everyday” and seasonal plush toys and dolls. So… what do you think? Do you like the brushable hair better? The Aurora Plush Pony quality is wonderful and I like that they will have brushable hair much like the G1 Hasbro Softies. I approve! To kick of their holiday line-up, Discovery Family will be showing “MY LITTLE PONY: A VERY MINTY CHRISTMAS” on December 13th at 7PM ET/ 6 PM CT. While this special stars the G3 incarnation of MY LITTLE PONY, instead of the current G4 “Friendship is Magic” line, it still has its merits and will be a fun watch for all. Did you know that the title of character, Minty, is voiced by Tabitha St. Germain who currently voices the character of Rarity in the MY LITTLE PONY: Friendship is Magic series? Have fun watching Pinkie Pie and Rainbow Dash in their previous G3 incarnations! With Ponies, Santa, and a song about Christmas Socks, this cute holiday special is sure to be a hit with your little ones. In addition to MY LITTLE PONY: A VERY MINTY CHRISTMAS, Discovery Family’s special holiday programming includes the premieres of LITTLEST PET SHOP (Season 3) “Winter Wonder” on December 13 at 12:30 p.m. and TRANSFORMERS RESCUE BOTS (Season 2) “The Riders of Winter” on December 13 at 1 p.m.